GeoDataVision Webinars are recognized as some of the finest presentations available, for information to help banks meet their “compliance and performance” responsibilities. The experts that present the materials are some of the finest in the country. 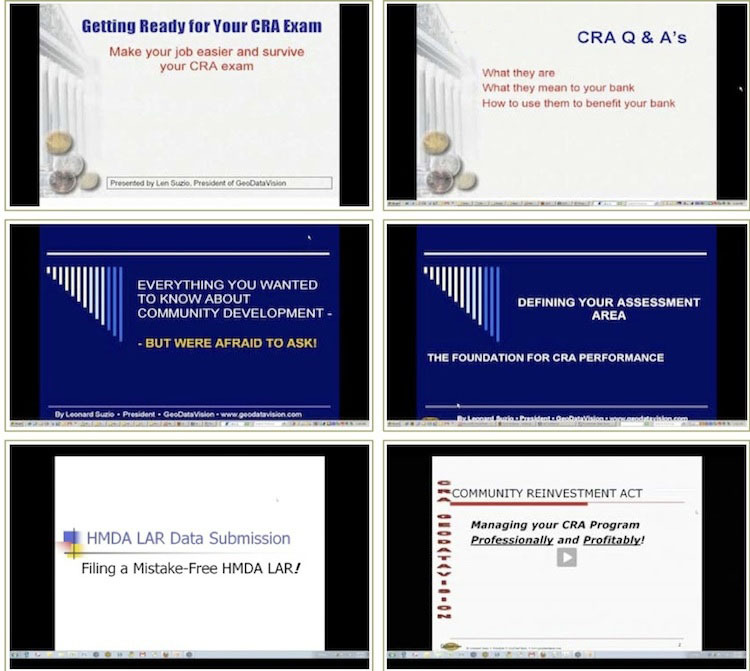 The topics covered include CRA, Fair Lending, HMDA, Exam Prep, and more. Available live and recorded. .